Proposals for developing the maritime links between Ireland and continental Europe have been drawn up by the European Commission as part of contingency plans for a possible 'no deal' Brexit outcome. Sinn Féin MEP Liadh Ní Riada has seen an internal document which details a series of "planned European Commission proposals" for "Brexit preparedness." 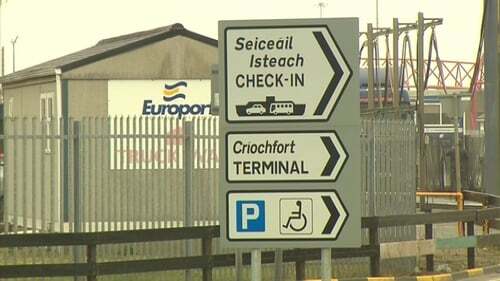 Ms Ní Riada said: "You are talking about using existing ports such as Cork and Rosslare. It would need serious infrastructure. So if you created a channel, or shipping lanes if you like, so that goods and services can be transported from the rest of Ireland over to Europe, I think it is quite an elegant solution to the problem of a 'no deal' Brexit." She added: "Even if there is a deal, I think that this is something we should be investing in anyway. It’s money that is going to be used from the Connecting Europe Fund, which is €42bn post-2020. I think we should applaud this rather elegant solution. We hope to see this on the table in September and it needs to be fast-tracked." British Prime Minister Theresa May has previously said that "no deal for Britain is better than a bad deal." Responding to these comments in January, a European Commission spokesman said: "We take these words very seriously. It is therefore only natural that we prepare for every eventuality." Welcoming the Commission’s contingency planning, Ms Ní Riada said: "At least it shows there is a willingness and there is an absolute positivity towards Ireland that Europe wants to see Ireland being able to see Ireland continue trading as quickly as possible. "It’s not about saying to the North that we are not going to take note of the fact that there are existing channels between Ireland and the UK because obviously they are our nearest neighbours and we want to continue trading. This needs to be complimentary to that."